Safety and security of people and possessions are front of mind for most people these days. And while it’s impossible to keep an eye on everything and everyone all of the time, installing CCTV cameras at home or in your workplace goes a long way to boosting your defences. So wherever you’re based in Oxfordshire, Berkshire or Middlesex, call Slough Aerials & Satellites for a comprehensive security service. We install, repair and upgrade all kinds of CCTV systems – including cameras that are highly visible as well as hidden cameras. We’ll also advise on the best places to locate your CCTV cameras. Maybe you want one covering your drive, your garage or your garden at home. Or you want to see who’s come knocking before you open your front door. Or you want to give your Security Guards at your workplace more ways to see and secure vulnerable areas of your building. 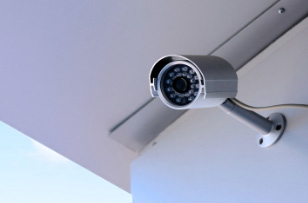 After all, the presence of a CCTV camera outside your property will make thieves think twice. So whatever the size of your business, and wherever you are in Berkshire, Oxfordshire or Middlesex, from Ascot to Windsor, Reading to Maidenhead, Slough Aerials & Satellites is the company you should be calling for all things security. Our number is 01753 439360. No type of work relies more on the trustworthiness and talent of engineers than the installation of CCTV security systems. Our Technicians are 100% reliable and have the expertise to ensure your cameras are placed in the most effective and protective locations, so you get the peace of mind you want. Video surveillance has come a long way in the last few years. One of the key developments is the ability to remotely access the images your CCTV cameras are seeing via your devices. 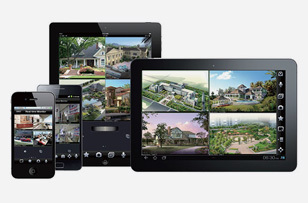 We’re totally up to date with all the latest developments in home and office security, so if you’re looking for the latest system, or to upgrade your current CCTV capabilities to something more modern, we are the people to call. Call us in for a thorough review of your security arrangements and advice on how we can help install, improve or transform your CCTV cameras. Surveys are free, with no obligation to buy afterwards. As an independent company, we don’t have to toe the corporate line and recommend one system over another. So you can be sure that whatever equipment we advise you to install is right for you. Discretion is vital when dealing with CCTV. We know that. And we also know that you expect us to be professional and courteous at all times, whether you’re calling us over the phone, or we’re working at your place. It’s why we ensure all Slough Aerials & Satellites staff are fully trained to deliver the best service. You want the best CCTV system, of course, but don’t want to pay through the nose for it. 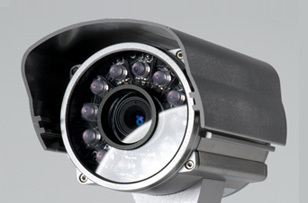 So call us for the most competitive quotes for CCTV installations and repairs. We’ll get back to you with a written quote, usually within 24 hours.